This is one of the most often overlooked jobs by home owners. This is because it is hard to get to and people often think if I cant see the dirt there is not a problem. 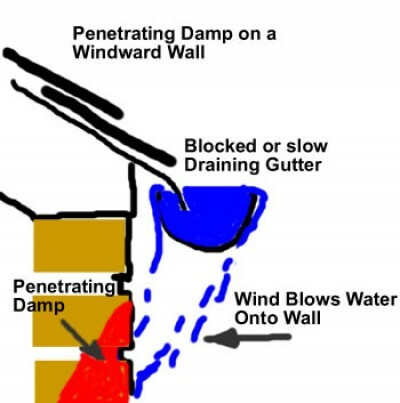 Gutters are an important part of your home’s weatherproofing system. 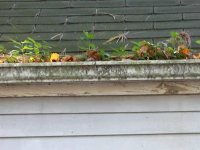 Dirt and moss from the roof is collected in the gutter. This can build up quickly and can cause a problem. If gutters are blocked and constantly overfilling with rain water,eventually the water finds its way down your house walls and in time you end up with DAMP walls inside the house which could be VERY COSTLY to fix. 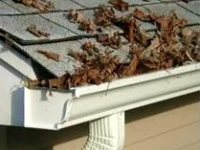 Why let your gutters get blocked up and risk possible damage to your home.